Bear with me, okay? I am having some real trouble wrapping my brain around the popularity of the Jack Reacher novels. 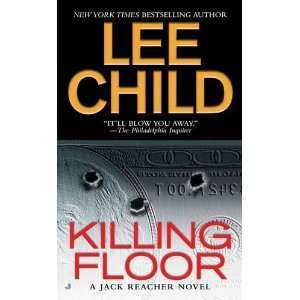 If you aren’t familiar with Lee Child’s gargantuan action hero, Child (a pseudonym used by Jim Grant, a former copy writer for Great Britain's Grenada TV corporation) has sold more than 37 million copies of his Reacher potboilers since his first, Killing Floor, appeared sixteen years ago; there appears to be no end in sight, since his seventeenth book, A Wanted Man, appeared last September, and his novel One Shot was released as the Tom Cruise programmer, Jack Reacher, in December. Child’s catalog even contains Reacher’s Rules, a sort of how-to guidebook for wannabe tough guys; And I’ve no doubt there soon will be a collection of Jack Reacher recipes on the food shelves of your local bookstore; maybe even a Reacher car maintenance manual. Admittedly, I have only seen the Cruise flick and read the first two Reacher stories so far (with three more waiting on my bookshelf, including A Wanted Man), so there is a chance I am missing something important that explains why Child’s character is so popular. But after sitting through two hours and ten minutes of Cruise in the role and poring over more than a thousand pages of Child’s novels, I think I have some idea how they work. My only question is: why do they seem to be so effective? For those who don’t know Jack, Reacher is a former major in the U.S. Army Military Police. He is hard to miss in a crowd, since he stands six feet, five inches tall and weighs between 210 and 250 pounds. 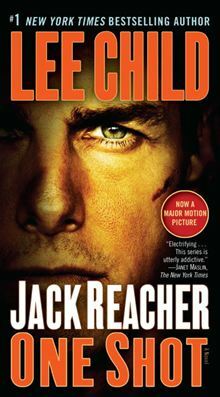 Reacher is not only an adept at all martial arts, including a few he seems to have invented himself, but he also is such an expert marksman that he can put a half dozen .50-caliber rounds in the trunk of a six-inch-wide sapling from a thousand yards out. Did I mention that he has a photographic memory or is a more skilled observer than Sherlock Holmes? Or that women seem to fall all over themselves jumping into his bed? Or that he can disable electronic communications equipment in a way that defies detection? Or that he maintains less than one percent body fat and superhuman muscle tone with an exercise regimen that only involves hitchhiking around the country and riding in Greyhound buses? Maybe I neglected to say that before dropping out of the Army to become an aimless drifter, he won just about every military decoration except the Congressional Medal of Honor. And I’m not sure he won’t pick one of those up sometime before Child wraps the series. Now that’s not a bad skill set for an MP officer. The last time I looked, those guys specialized in sitting in offices on military installations around the world drinking coffee and shuffling papers while the enlisted men they supervise are mostly out rounding up drunks and AWOLs, writing parking tickets and checking IDs at the front gates of military posts. The Reacher novels are fairly formulaic: in each one I have read so far, Reacher finds himself thrown directly into the middle of some sort of mammoth criminal conspiracy that’s been put together by an evil genius. He gets captured, escapes, walks around killing bad guys, drives around killing bad guys and sometimes kills bad guys while sitting down or even chained to the wall of an abandoned barn (see, for example, Die Trying, Reacher Number Two, 1999). His enemies attack him with fists, knives, clubs and guns, but he is essentially indestructible and impervious to pain. Usually, the conspirators are a tightly knit group consisting of few enough people that Reacher is capable of eliminating most of them in a few fire fights toward the end of each book. As he wanders here and there, saving innocent people and wiping out the villain’s minions, he slowly pieces together the nature of the plot, following up on clues that (1) have been ignored by law enforcement officials who are either corrupt, incompetent or both, or (2) withheld by Child until the last moment because exposing them too early would make the entire plot collapse. 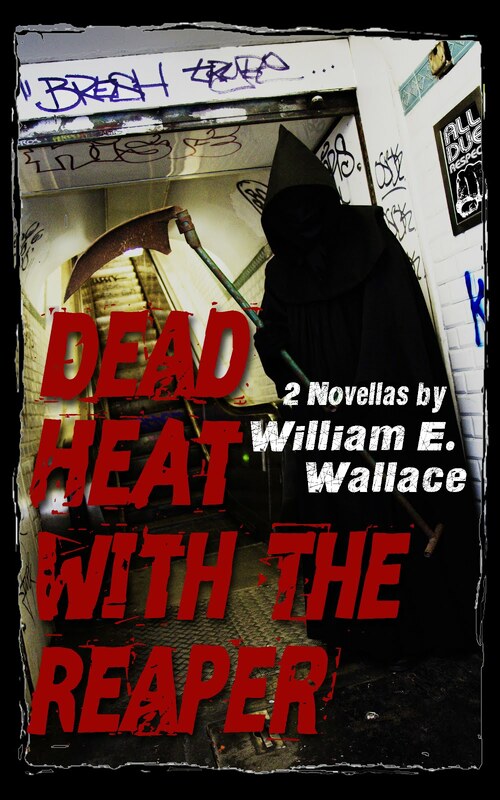 The novel ends in a climactic display of violence that results in the death of the evil mastermind – who actually turns out to be a rather stupid criminal rather than a twisted genius. And while the mastermind’s lieutenants are portrayed as vicious and sadistic psychopaths who deserve lingering and thoroughly unpleasant deaths, they are usually snuffed out like annoying vermin in an anticlimactic fashion that fails to offer the reader any catharsis at all. For example, in one novel, Reacher eliminates the leader of a right-wing militia group by blowing off his head with a sniper rifle from hiding. He kills the neo-Nazi’s top lieutenant by strangling him unceremoniously with a broken chair leg. In another, Reacher simply drowns the bad guy in a swimming pool. All three of these villains are completely overmatched and die without saying a word. Having a master of mayhem like Reacher kill them in such prosaic ways is like beating rats to death with a hand grenade instead of pulling the pin and throwing it into their den. You can tell his opponents aren’t terribly bright because they continue to keep him alive long after they discover he is the most dangerous man on the planet. In one book, he is scheduled to be executed in front of an entire camp full of militia screwballs when the head man changes his mind – for reasons that don’t begin to make sense and are later abandoned without any explanation whatsoever. And just about everything that occurs in a Reacher novel is the product of wild coincidences that Child makes no serious effort to explain: Reacher just always happens to be in the right place at the right time to mess up some megalomaniac’s carefully laid plans – which usually turn out to be so half-baked their consumption would cause food poisoning, anyway. In addition to idiot plots, a dependence on absurd coincidence and the apparent invincibility and sexual irresistibility of Jack Reacher, Child’s ouvre has a number of other features I find annoying. For one thing, he tends to fall into the Tom Clancy “Popular Mechanics” school of thriller writer, larding his stories with lengthy passages of technical data about weaponry and equipment that pump up the word count, but get in the way of the narrative. In Die Trying, for example, Child spends nearly four pages discussing the various factors that go into making a successful shot with a sniper’s rifle. The same point could have been made in a couple of paragraphs; instead, the reader is forced to read nearly two thousand words that sound like they were lifted from a military training manual. And the same book contains a lengthy excursus on technical features of the M-16 rifle that is intended to explain why a slug from the gun would set off aging, deteriorated dynamite that lines the walls of a building. Again, the point could have been made by simply saying Reacher couldn’t shoot the man standing in front of the wall because if he did, the bullet would go through his body and turn the building into a bomb vaporizes everything within a quarter mile radius. It’s clunky prose like this that makes the reader wonder if Child is being paid by the word -- or maybe by the manuscript pound. At other times, Child falls into the Gray’s Anatomy school, in which physiological and anatomical jargon substitutes for the exhaustive description of gadgets and weapons. For example, Reacher can’t just shoot a man to death; Child has to tell us how the bullet pierces the bad guy’s sternum at 1,400 feet per second, glances off the sternal angle and penetrates the costal cartilage before passing through the pulmonary artery and lodging in the right lung, thereby causing an internal hemorrhage that essentially makes the villain drown in his own blood. (Incidentally, I haven't actually found a passage exactly like that in a Reacher novel so far, but I have only read two of the damned things; a couple of deaths in the ones I've finished bear more than a passing resemblance, and I am sure I will eventually find one almost exactly like the one I described above). The Reacher books are supposed to be thrillers, but it is difficult to generate much suspense when the reader keeps getting bogged down in quicksand pits of unnecessary technical detail like these. At the opposite end of the spectrum, sometimes Child’s prose is extraordinarily devoid of color – so much so that it seems tired and lazy. Now nobody should be expecting Thomas Wolfe quality literature in a series of action books that features a hero as hard-boiled as a pterodactyl egg, but Child, who clearly has an eye for detail that might actually lighten the story or enhance some of the action, often fails to use it. This is particularly true in the action sequences, when he seems to fear that if he inserts a telling bit of description, his readers’ minds will wander. So at one point in Die Trying when a character is frantically trying to reach a certain location, Child says “McGrath ran like crazy for the mouth of the stony track.” Like crazy? Come on. That’s not writing; that’s just mailing it in. Well? Was it straight away? Was it more than straight away? Less? And why did he open “up” the room? Why didn’t he just open it? The one type of violent death that seems to consistently receive this sort of perfunctory treatment is the head shot. When a bad guy in a Reacher novel gets hit in the skull by a bullet, his gourd simply disappears into a pink mist. I know because it seems to happen to Reacher’s enemies repeatedly. Particularly when Jack is pulling the trigger. In my opinion, flabby writing like the stuff I've described above saps a narrative of strength while paradoxically making a 500-plus-page novel seem even longer. Which brings me to the crux of my problem with Reacher. Theoretically, we live in an era of short attention spans (though films keep getting longer and longer and almost nobody knows how to make a tight 90-minute movie like The Maltese Falcon anymore). If people have so little time, why are they reading bloated novels like these Reacher yarns? 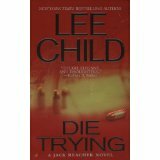 To me, Jack Reacher resembles the heroes of a whole series of page-turning actioners that were published between the late 1960s and the 1990s: Remo Williams from The Destroyer series; Mack Bolan, the hero of Don Pendleton’s Executioner books; Richard Camellion of the eponymous Death Merchant novels; and Nick Carter, the namesake of the dime novel detective of the turn of the century who was the focus of the Killmaster stories. The main difference is, those earlier potboilers about superhuman crime busters who either beat villains to death or blew them away with exotic, high-caliber weaponry were a hell of a lot shorter: they rarely exceeded 120 pages. That means you could read three Mack Bolan or Remo Williams books in the same amount of time it takes to wade through one Jack Reacher novel. And to be honest, bad as most of them were, I liked those books better. They weren’t pretending to be literature. They were just pulp novels you could race through in a single night while sitting in bed. Let’s face it: pulp fiction is basically a time-waster, but most of us have a limited amount of time to waste. Which brings me back, in a way, to the question implied at the beginning of this post: why are so many people wasting their precious time on the clunky and overly long Reacher novels? If and when I figure this out, I will let you know . . .